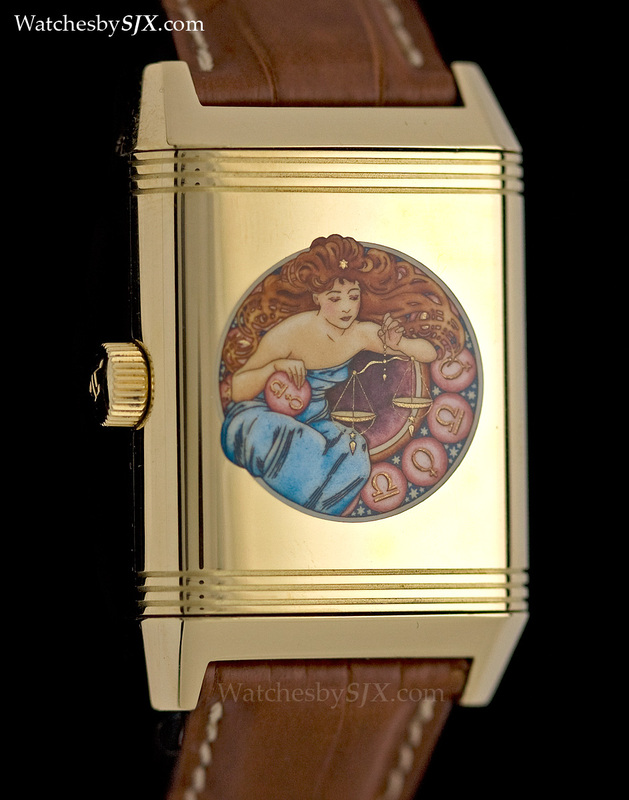 Miniature enamel painting is a rare skill even amongst independent artisans, and rarer still inside a watch factory. 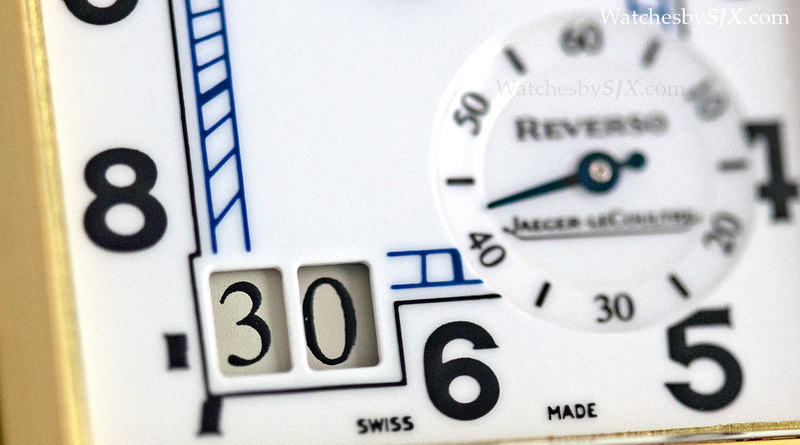 With its enamel workshop, situated in a small building away from the massive main manufacture, led by the talented Miklos Merczel, Jaeger-LeCoultre is probably the only watch brand which can boast of doing miniature enamel painting in-house. The basics of miniature enamel painting are easy to understand: enamel paints are used to create a tiny picture, often a portrait, on an enamel base. But the painting is done by hand and requires an inordinate amount of nimble brushwork, done with an extraordinarily fine brush comprising a single hair. The paints are typically metal oxides, which are fired in an oven to fuse them to the enamel base. Once completed, the painting is then covered with a layer of clear enamel to give it a glossy appearance. Though the metier d’art craze of recent years often emphasises the brilliant colours and patterns of flinque enamel (with deep blue being a particular favourite) and other elaborate decoration, miniature enamel painting is no less demanding a technique. 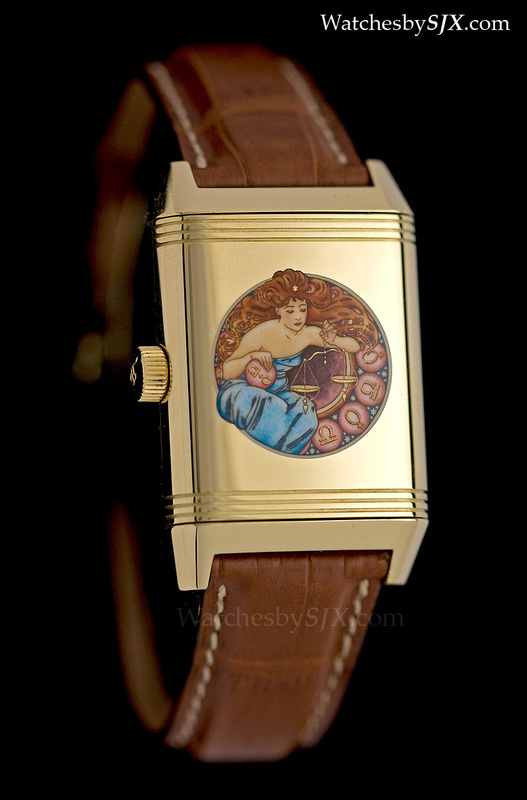 First unveiled about a decade ago, the Grande Reverso Enamel shown here is part of a 12 piece set, each decorated a sign of the Zodiac depicted in the Art Nouveau style that is a house favourite at JLC. 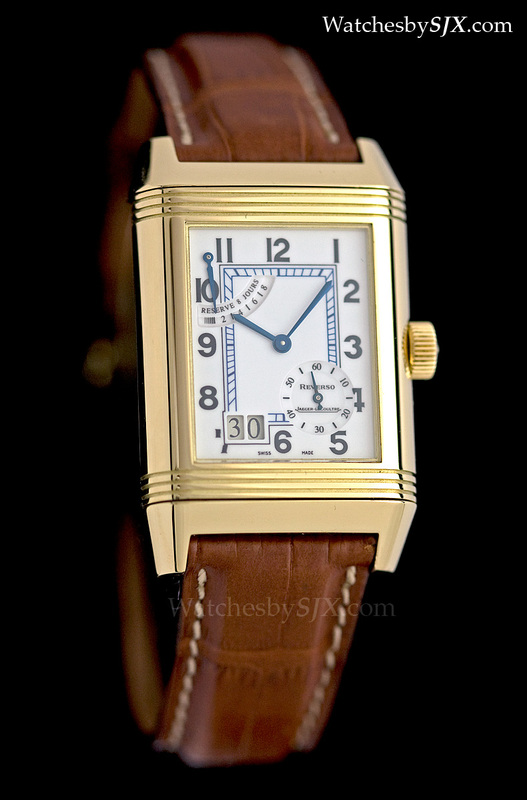 This Reverso is enamel front and back. Made from white grand feu enamel, the dial is subtly accented with a blue railway minute track which matches the blued steel hands. 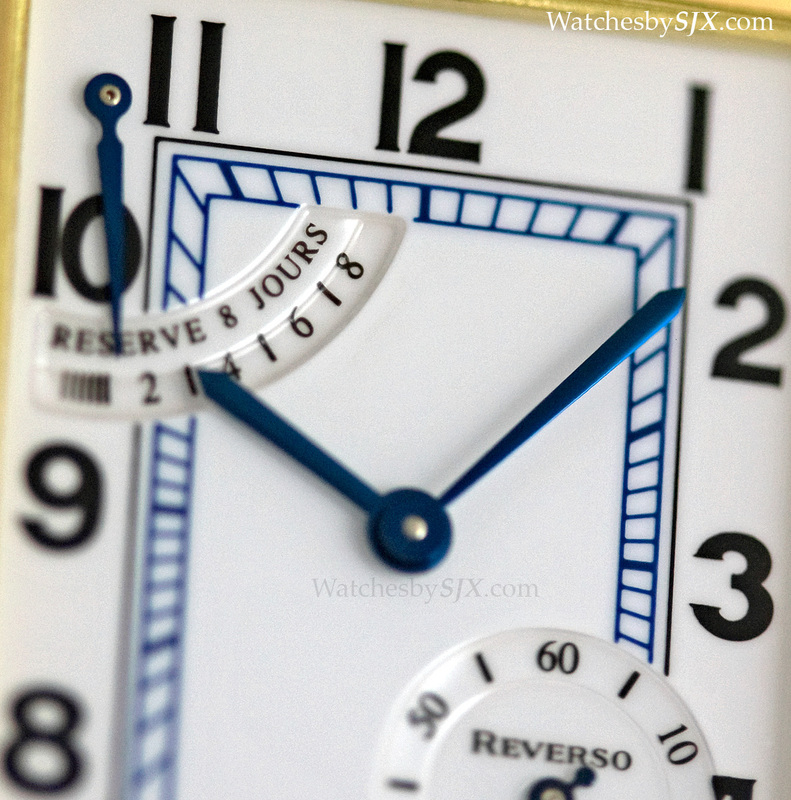 Both the power reserve and seconds sub-dial are slightly recessed, an unusual feature for an enamel dial. 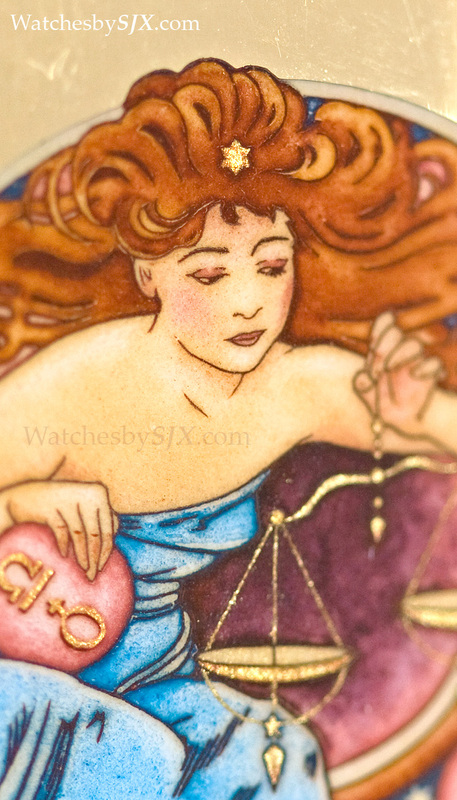 This particular watch depicts Libra, with its symbol of scales. 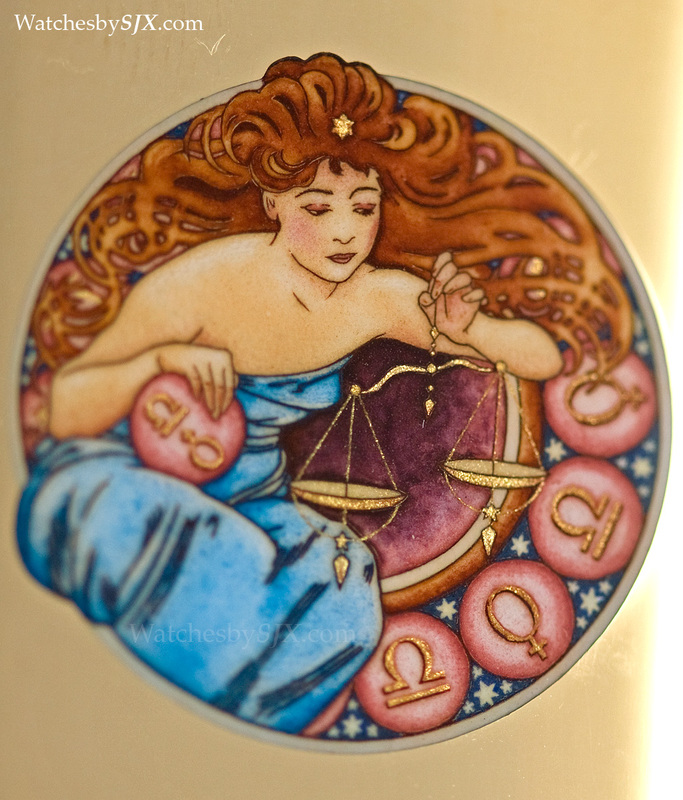 And the motif also includes the Greek symbols for Libra and Venus, which is the ruling celestial body for Libra. 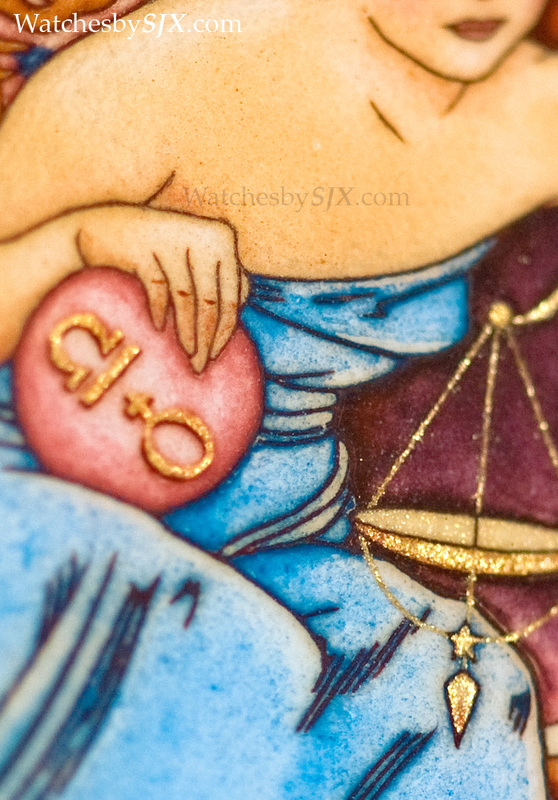 The miniature enamel painting is set into the yellow gold case, replete with subtle details. The details of the painting, colour, shading and texture, are so fine that they need to be savoured slowly. 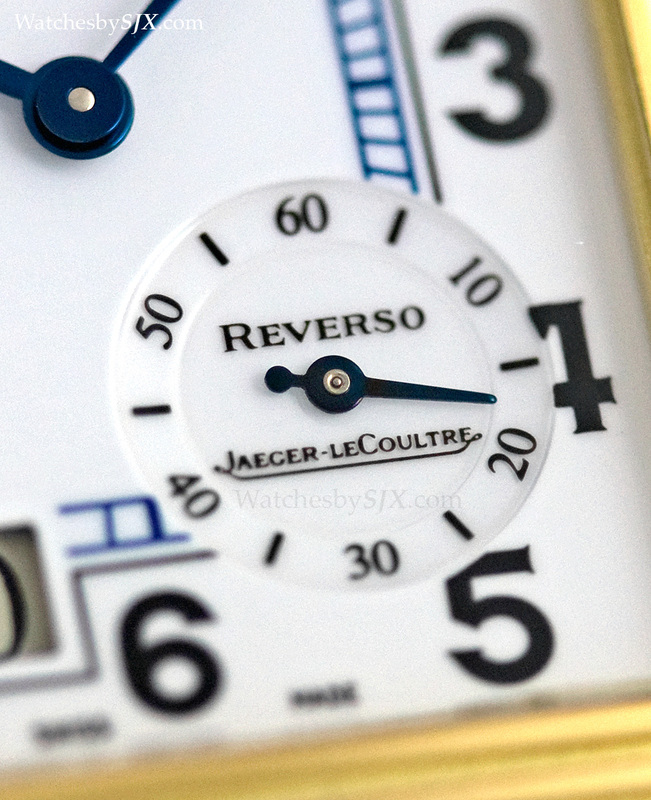 The Grande Reverso Enamel uses the XGT case, the largest of the standard Reverso sizes. It retails for S$137,000, or about US$109,000.